Proceeds from event support trail restoration in the Columbia River Gorge National Scenic Area. 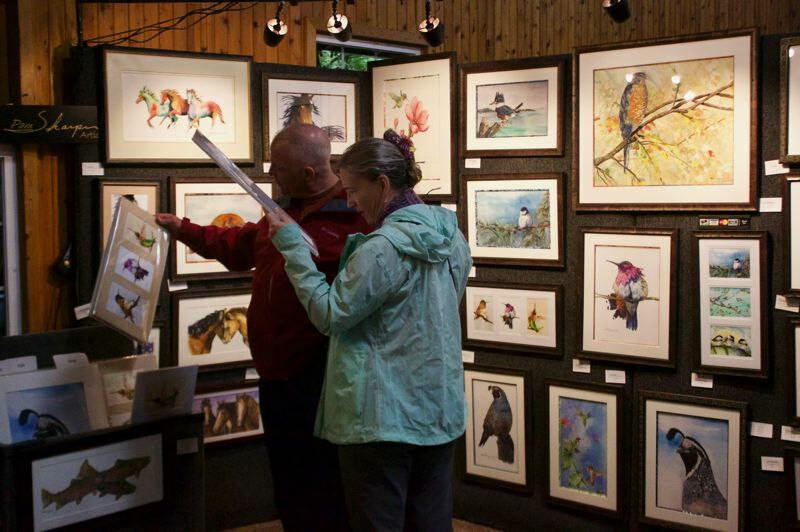 Festival goers enjoyed food, craft beer and wine while visiting art booths in a variety of mediums in Troutdale for the fourth-annual Fall Festival of the Arts. The free event, at Glenn Otto Community Park, 1102 E. Historic Columbia River Highway, on Saturday, Sept. 22, featured more than 50 regional artists. 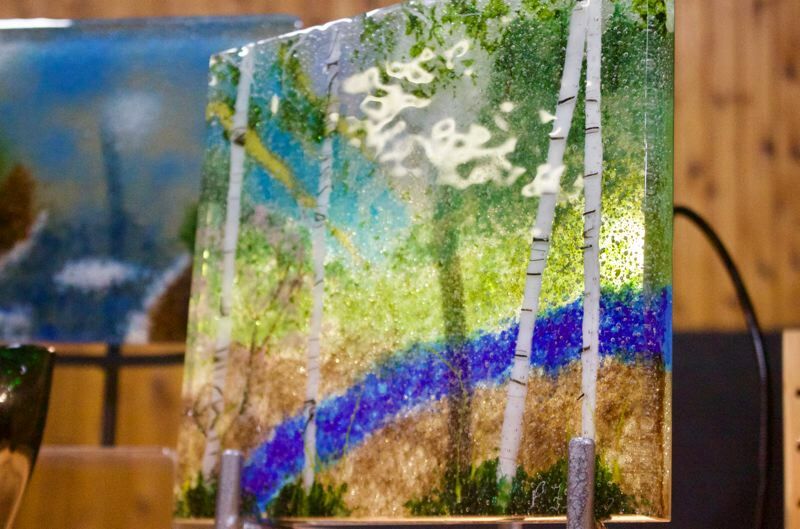 A few artists demonstrated how they create their pieces at the show organized by the West Columbia Gorge Chamber of Commerce. 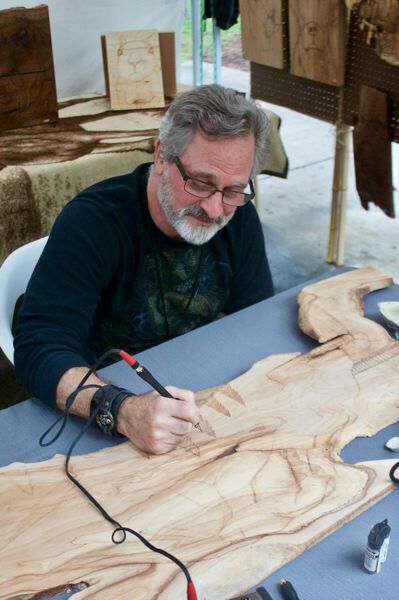 Artists' works were auctioned off and the proceeds went to support the local Trailkeepers of Oregon, a trail advocacy group whose members have been working to restore fire-impacted trails in the Columbia River Gorge since last year's Eagle Creek Fire. The Eagle Creek Fire started one year ago on Sept. 2, 2017, after a then 15-year-old Washington boy threw fireworks into the Eagle Creek Canyon. The fire raged to consume more than 48,000 acres. In May, The boy was sentenced to pay $36 million in restitution. "One year after the Eagle Creek Fire in the Columbia River Gorge, the region is still feeling the effect the fire had on the environment and local economy," said Karen Young, chamber of commerce executive director. Last year, event proceeds were donated to volunteer fire departments combating the fire. The Troutdale City Council on Tuesday, Sept. 11 voted unanimously to give $3,000 to the chamber to support the festival. Jay Marquess, president elect of the chamber, explained why the city should give money for the event. "We've had the support of Troutdale for four years, and last year was our most successful year with the fall arts show," Marquess said. "We had a tremendous amount of artist participation. We were able to take the proceeds and give them to Corbett Fire and Cascade Locks (Fire and EMS)." The number of artists at the festival doubled from last year. "One key thing of this is we are trying to promote the art in this community because this is a mecca for art, and artists," Marquess said. City councilors touted what a great event the art show is for the city. "I think generally it's a good thing for Troutdale," City Council President David Ripma said. "It's a wonderful event." City Councilor Rich Allen added the Fall Festival brings "a touch of class to Troutdale." "I love their event," he said. 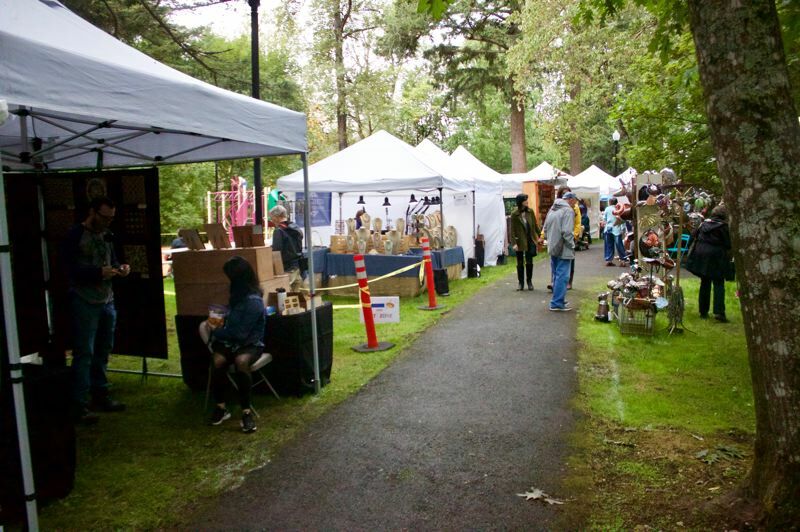 Troutdale Councilor Glenn White, who volunteers with the festival every year, noted that along with regional artists coming to the show, local creators have contributed to beautify Troutdale with public art works. "It a major effort to transform the Sam Cox (at Glenn Otto Community Park) building into a temporary art gallery," he said. While the price is higher than other Troutdale community events, it's worth the price. "I think it's very inspirational for the kids because they get to see the artists create their work," White said.